After a couple of weeks using a Festool Domino, I was bored to clamp my piece of wood on my workbench. Then I remember a good idea and build this spacial clamping system. 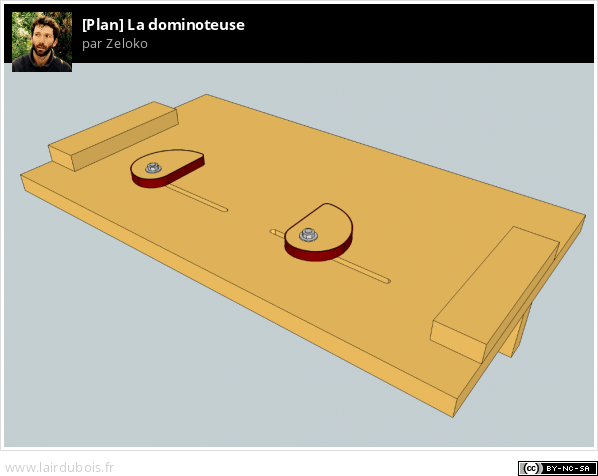 You can find the Sketchup plan hosted on L'Air du Bois by clicking on the following picture. And use the big orange button ”Télécharger le plan” to download. Great clamping jig. I’m going to have to borrow your idea as it would work for both my Domino and my Lamello. Thanks for posting. So do those carriage bolts just bind sideways for adjusting for wider and narrower stock? I need to build one of these. Great idea! 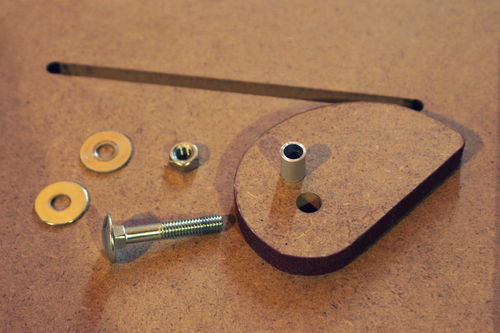 @DanLyke, yes, you can clamp wider pieces by adjusting bolts. This picture will help you to understand this part. Great idea. Adding to my favorites. Don’t have a Domino but this also would work for a biscuit joiner. Thanks for sharing. Bravo! Great idea, think I’ll have a use for this concept. This looks like a great idea, thanks!